Rightways: How to measure a politician? How to measure a politician? Cheah taking a wefie with Tanjung Bungah assemblyman Teh Yee Cheu (behind Cheah) and (from left) Berapit assemblyman Lydia Ong, Speaker Datuk Law Choo Kiang and state officials during a break at the Penang state assembly in November. KEBUN Bunga assemblyman Cheah Kah Peng of PKR is the man of the moment in the political scene in Penang. Chief Minister Lim Guan Eng barred him from helping with the registration of flood victims for the RM700 aid in his constituency. Lim, in his Facebook page, said in Chinese that he wouldn’t sit idly when elected representatives do not perform. He stopped short of naming Cheah, except to say that he heard grouses from Hong Seng Estate residents about not seeing “their assemblyman” during the floods on Sept 15 as well as on Nov 4 and 5. We do not know if this is true. In any case, Cheah got a letter from the State Secretariat relieving him of the registration duty. Lim and Pulau Tikus assemblyman Yap Soo Huey took over the task. Cheah, showing his usual gentleman’s demeanour, declined to comment. But this is not the first time he has come under attack from the state administration. It was learned that he was reprimanded for being unhappy with the passing of the Penang State Park (Botanic) Corporation Enactment 2017. Penang Botanic Gardens is in his constituency and he feared the Enactment would affect people’s rights after the park was corporatised. It is said he was informed only a few days before the Bill was tabled. 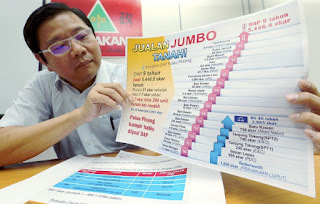 In 2015, Cheah, Penanti assemblyman Dr Norlela Ariffin, Ong Chin Wen (Bukit Tengah), Dr T. Jayabalan (Batu Uban) and Lee Khai Loon (Machang Bubok) were dubbed the ‘PKR Five’ for abstaining in a vote against a Barisan Nasional motion on land reclamation in the state assembly. Their relationship with Lim soured after that. 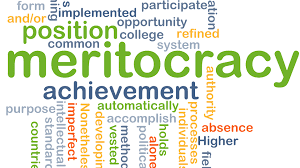 How do we define good elected representatives? Keep count of how many times they visit their constituencies? And then there is the old question: Should we vote for the person or the party? There are many views on this, but as a journalist, I have an occupational advantage. I have seen a few assemblymen turning up at gotong-royong, spend less than 30 minutes there for photo opportunities and leave. Yes, I know who you are and I am a voter too. And then I had the chance to cover many state assembly meetings through the years. This is where we expect constructive debates among the ‘Yang Berhormat’ on issues that affect us. But on a few occasions, there were no fruitful debates or exchange of ideas. National issues, which cannot be resolved in the state assembly, dominate the proceedings at times. Why? What were our assemblymen hoping to achieve by prattling about things that the hall cannot act on? They frequently call each other names and bicker in the august House. In the last meeting, two assemblymen dragged out the name of a newspaper editor and attacked his character in the hall where the editor had no chance to defend himself due to the absolute privilege that lets assemblymen say anything they want there without fear of being sued. But I was relieved because at least five other assemblymen stood up to defend the editor and talked those two assemblymen down. Unlike them, I do not have absolute privilege so regretfully, I can mention no names. With today’s technology, it is easy to get to know political candidates before giving them our votes. Check out their Facebook pages or Google their names to learn about them. If they are not up to mark, something might show in their social media exchanges. Remember, the election season is just around the corner. Use your vote wisely. DAP-led Penang govt had 'jumbo land sale', says Teng - Nation | The .. THE one-off payout for each household and business operator affected by the floods on Nov 4 and 5 has been increased from RM500 to RM700. THE state government is looking at having an alternative early warning system on storms from China. THE Malaysia-Singapore Coffee Shop Proprietors General Association handed RM125,000 towards flood relief efforts in Penang. ALMOST 10,000 tonnes of waste have been cleared from the streets since Penang was hit by the worst floods in 30 years. A DAP assemblyman has come to the defence of the Penang Forum, saying that there was no need for the state government to criticise the coalition of 20 environmental and civil rights organisations. GEORGE TOWN: A DAP assemblyman has proposed for a royal commission of inquiry to be set up to look into the sinkhole in Persiaran Tanjung Bungah and the landslides in Penang Hill. FIVE people stood quietly outside the state assembly building while the sitting went on. OPPOSITION Leader Datuk Jahara Hamid (BN-Teluk Air Tawar) has alleged that seabed mining in the state has become critical. It’s hard to deny when the effects of climate change are all around us Andrew Sheng says that from increasingly intense hurricanes t.
THE one-off payout of RM700 for each household and business operators affected by the floods on Nov 4 and 5 would NOT solve the problem of floods, but would lead to more floods in future because it does not address the root causes of floods in Penang. More foods, more money are expected by the greedy. You cannot simply give money to fish votes. We must address the real causes of floods, like to build new drains, improving, deepening and widening the existing drainage systems, take care of environment and build sound infrastructure, improve engineering competencies and transparency by engaging those with expertise and competency.